Be creative! 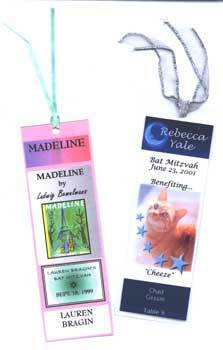 We will design custom made bookmarks for your next event that can be used as seating cards or party favors. Call for ideas.